The Beer Buzz recently took a trip to sunny San Diego, so naturally we needed to check out Ballast Point's new facility in Miramar. Stepping foot into this 107,000 square foot brewery, it is incredible to think how far Ballast Point has come since their humble beginnings in the back of Homebrew Mart twenty years ago. Ballast Point was founded with DIY determination and that passion for craftsmanship can be seen in the gleam of this beautiful 150 barrel brew system salvaged from a brewery in Germany. 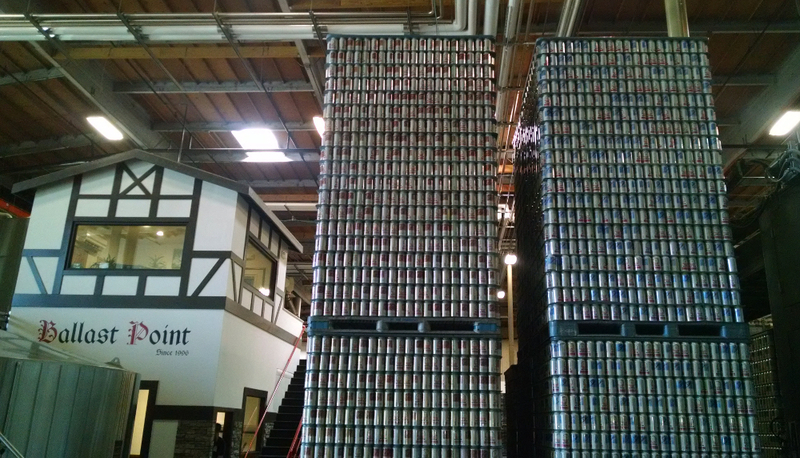 As cans grow in popularity, large stacks like these await their turn on the line. Ballast Point recently revamped their cans to feature artwork from San Diego native and longtime Ballast Point artist Paul Elder. 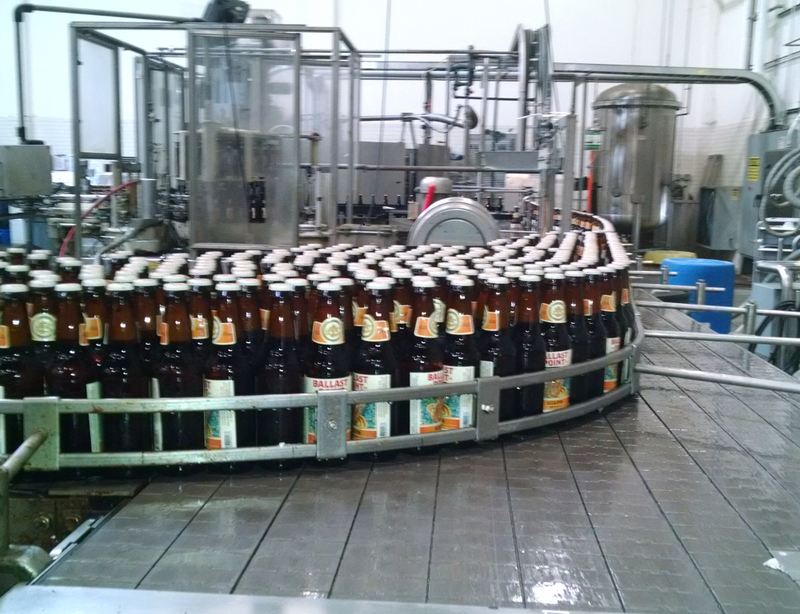 Bottles of Ballast Points award winning Sculpin IPA whirl toward packaging. 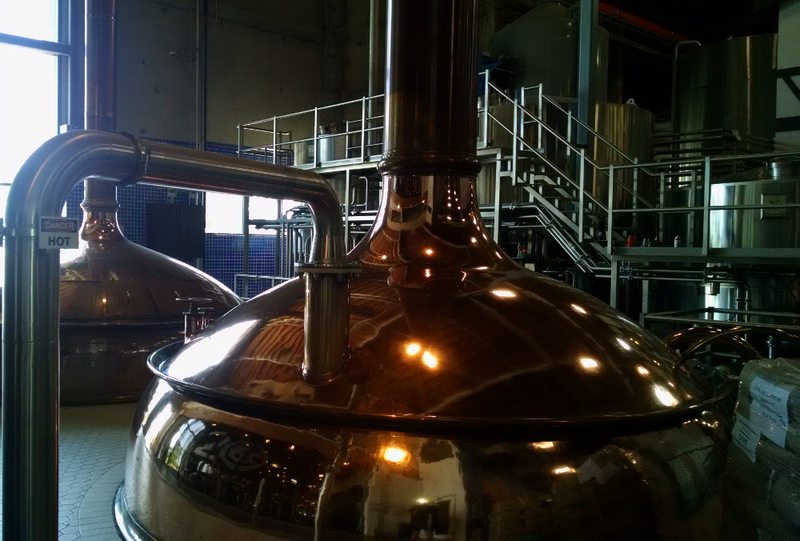 Sculpin began as a homebrew recipe amped up on a 15 barrel brewhouse. Fermenters, kegs, bottles and cans  as we walk about the brewery this San Diego legend is nearly everywhere you turn. 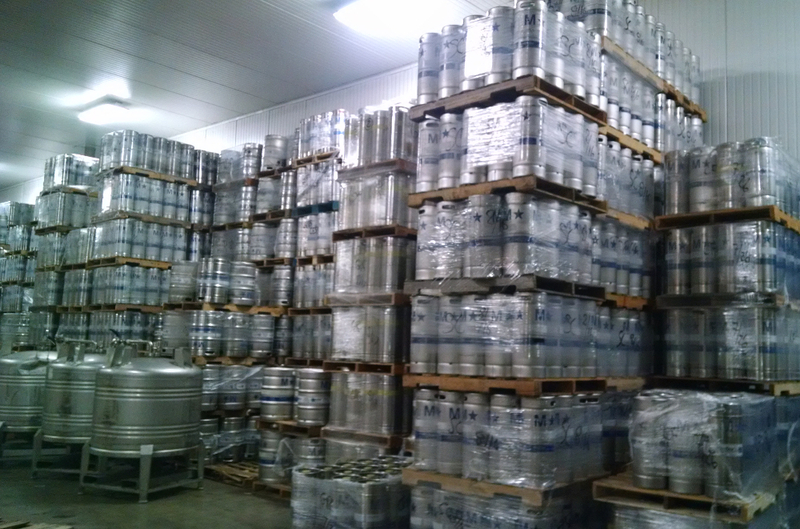 Mountains of freshly filled kegs. The cold storage here is so massive you could fit a nano brewery inside! Refusing to rest on their laurels, Ballast Points extensive research and development program continues to explore new beers styles and flavors, brewing up test batches for thirsty fans to taste and vote on. While theyve grown tremendously over the last twenty years, a homebrewers passion for experimentation is still alive and well at Ballast Point, and thats something we find quite refreshing.